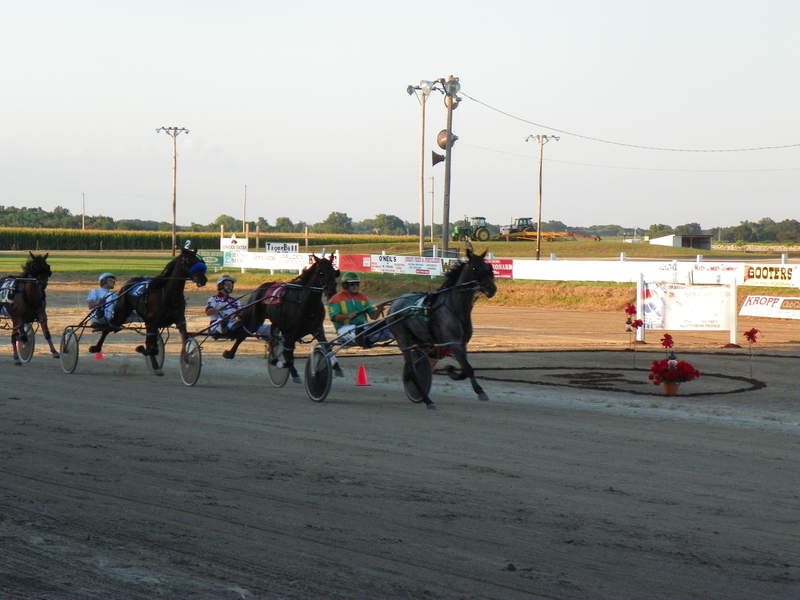 Live harness racing returns to the Brown County Fair on August 4th and 5th in Mt. Sterling, Illinois. First post both days is 2:00 p.m. (CDT). The highlight of this year’s fair will be Sunday afternoon’s Illinois Stallion Stakes showcasing Illinois’ best conceived and foaled two-year old’s. Horses on Sunday’s card will compete for over $70,000 in purse money – the richest day in fair history! Driving those horses will be local drivers competing with some of the best drivers in Chicago, including Bobby Smolin and Michael Oosting. The Brown County Fair is the only county fair in Illinois to offer pari-mutuel wagering. Come on out and watch the live competition and place your bet – featuring 50 cent trifectas – on the winners! !